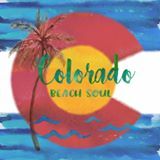 Colorado Beach Soul - Get Involved. Make Friends. Enjoy Motherhood. A MOD Moms Business. Handmade beach inspired jewelry. Offering a variety of jewelry pieces each one unique and special. Using treasures and sand from around the world. I will offer 10% off entire purchase from Colorado Beach Soul (not including shipping). Use code MODMOMS10 on my Etsy site to receive discount.